It’s hard to believe that 2019 is already here. The holidays were such a blur. Just yesterday, we were celebrating Halloween, and now, it’s ten months away. If you’ve been stopping by weekly, I thank you for your support. If you’ve just stumbled upon this little blog for the first time, I welcome you. I’m not big on resolutions, but I do anticipate to do bigger and better things than the previous year, so now, there’s only conjuring up the willpower to pull off the ideas that I have in my head. This year, you can expect more Halloween haikus, chilling stories, awesome horror movie lists, spooky artist showcases, and all the Halloween or spooky related stuff that we can dig up. Halloween is bigger and more important than ever. The pagan ways are finding their roots again in a new generation of believers, and I believe Halloween is huge part of that revival. Halloweenophiles are growing in numbers and sharing their ideas with the rest of the world. 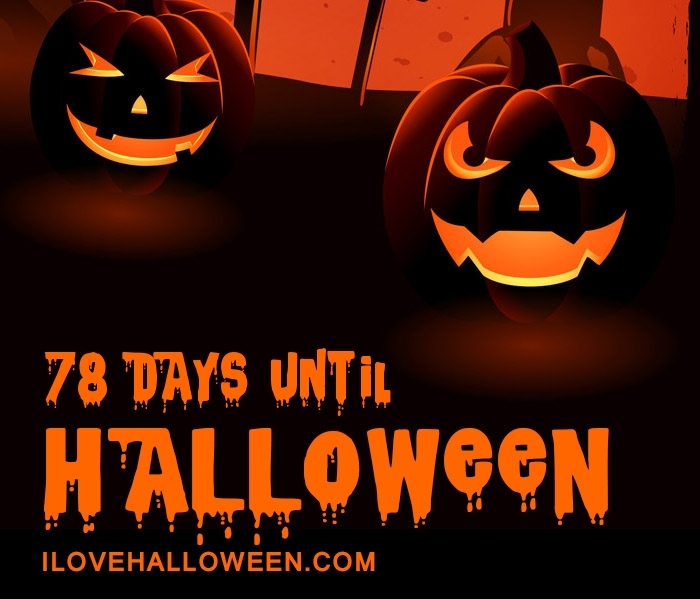 Countries where Halloween didn’t previously exist, are now showing signs of celebrations. Plus, it’s the only holiday where fans like to keep the party going all year long. Every day is Halloween, we just go a little crazy in October. I wish you all good fortune, peace and happiness this year. Keep believing in the magic of Halloween. It is impossible to say how first the idea entered my brain; but once conceived, it haunted me day and night. Object there was none. Passion there was none. I loved the old man. He had never wronged me. He had never given me insult. For his gold I had no desire. I think it was his eye! yes, it was this! He had the eye of a vulture –a pale blue eye, with a film over it. Whenever it fell upon me, my blood ran cold; and so by degrees — very gradually –I made up my mind to take the life of the old man, and thus rid myself of the eye forever. Radiant palace- reared its head. A winged odor went away. This October, we celebrate Rhode Montijo, children’s book author & illustrator and creator of curious oddities from Southern California. Where to Purchase Goods: Online shop, comic book conventions, special events, etc. Why we love them: Rhode Montijo specializes in that vintage Halloween look, where his works truly capture the whimsical innocence of Halloween. When browsing through prints, be prepared for a flood of childhood memories to engulf you and remind you why you fell in love with Halloween in the first place. Urban legends are stories that are meant to scare us and typically serve as a warning or have some type of moral lesson attached. Every state has their own urban legends, some states even share legends, changing the details to fit their locale or whichever narrative is needed, but the core plot stay the same. The ones I have chosen for this list are the creepiest found in the USA, and some of them are based on real-life true stories! Can you figure out which ones? This story is sometimes told with the co-ed being more studious and returning to retrieve a book for an all-night study session, but the end-result is always the same. This legend has been around 50 years or more and most likely was started by a parent worried about their college-bound kid. Moral of the Story: Screw your roommate’s feelings, always turn on the damn light. Some variations of this legend feature an old woman and sometimes, a young girl. Sometimes she wakes in the middle of the night, hearing a dripping sound, and sometimes, the pet is alive and well at the end. Like the ‘Turn on the Light’ legend, the killer rubs the survivor’s nose in the fact that they barely escaped death. Moral of the Story: You’re never going to be in control of your own death and maybe you should get a cat. Where to Purchase Goods: Online shop, comic book and horror conventions, special events, etc. Why we love them: Creepy cute art blends the best of two worlds. Diana Levin’s colorful and whimsical style mixed with the dark Gothic tones is a feast for the eyes. In addition to drawing some delightfully creepy versions of pop culture and fabled characters, her own original character drawings are exquisite. Diana’s creative art inspires the imagination, which might explain how partner Shawn Givens comes up with all those spooky stories for their book series, The Ghoulish Grimoire.